The official school year has started for so many children in California and for some of them this new year means also learning a new language and getting involved with a different culture. Learning another language and being able to converse with people from another country in their mother tongue helps opening doors to an understanding and to experiences that mere traveling to these countries alone won’t do. In a world that grows closer every day communicating with each other and understanding each other’s customs is important. The German Saturday schools in Southern California have started their academic year last Saturday and the many young students will not only learn German but also get immersed into the German culture, music and literature. Observing all traditional festivals of German speaking countries throughout the entire school year lets the children experience German culture in a fun educational way. 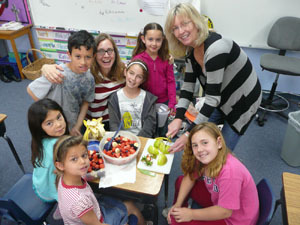 The German American School Association (GASA) of Southern California was founded in 1954 and since then has offered Saturday classes throughout the Southland. Please read the following interview with Konstanze Alvarez, the director of the German school in Costa Mesa to learn more about the GASA German Schools. How many GASA German schools are there in Southern California? Are the teachers German natives? Mrs. Alvarez: “At our school all the teachers are German and assistants need to have a very good knowledge of the German language. Every year the GASA organizes a full day seminar with special training for the teachers. It’s a day that is also very valuable for us in the sense that we exchange experiences with the other GASA teachers. How many children are usually in a class? What about the general interest in learning German? Do you also get requests from families who have no immediate connection to Germany and its language? What is your curriculum like and what do you focus on at the different levels? Mrs. Alvarez: “The curriculum varies with the age of the children. 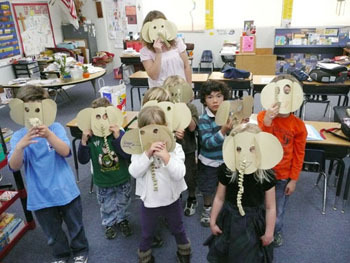 In Pre-School children are still very playful and classes follow a guideline I had put together. Focus is definitely on the verbal aspect of the German language. Therefore all our Saturdays usually have a motto like: “That’s me”, colors, numbers, clothing, “The seasons” or “This is my family” or “This is where I live” and so forth. We talk about animals and the senses and even taste foods like fruits and typical German foods together. What we try to achieve is to set the foundation for a certain base-vocabulary. We “read books”, play a lot of Bingo, Domino, Memory and other games and sing the classical Children songs. Honestly, every walk to the bathroom or even washing hands itself becomes an educational experience, since we try to explain everything only in German. And of course we do a lot of crafts and this on all levels. In Kindergarten we additionally introduce the German alphabet and continue strengthening the vocabulary and we start the first exercises in reading and writing. The Beginner and Advanced classes work with actual school material from Germany. Here the focus is on learning how to read and write in German and the older children learn also more facts about Germany. How much weight do you put on German traditions & the German culture in general? Mrs. Alvarez: “We generally have two big celebrations. One is Christmas and the other, Easter. Then we have a graduation celebration. Parents are invited to attend our Christmas and our graduation festivities. For both, children of all class levels put on a program that they perform together. 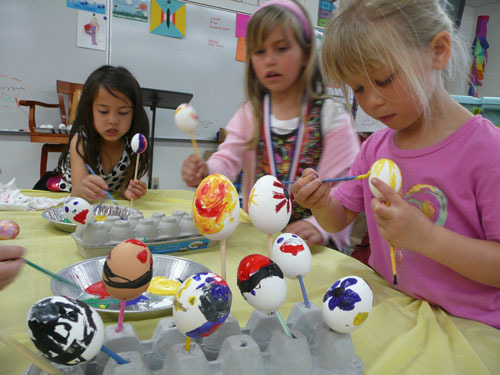 We also have the “Laternenfest” in November and for Easter we color Easter eggs together and have an Egg Hunt. Do you have a “Schultuete” for the children advancing from the Kindergarten level to the Grade level? German American School Association -13601 Whittier Blvd.